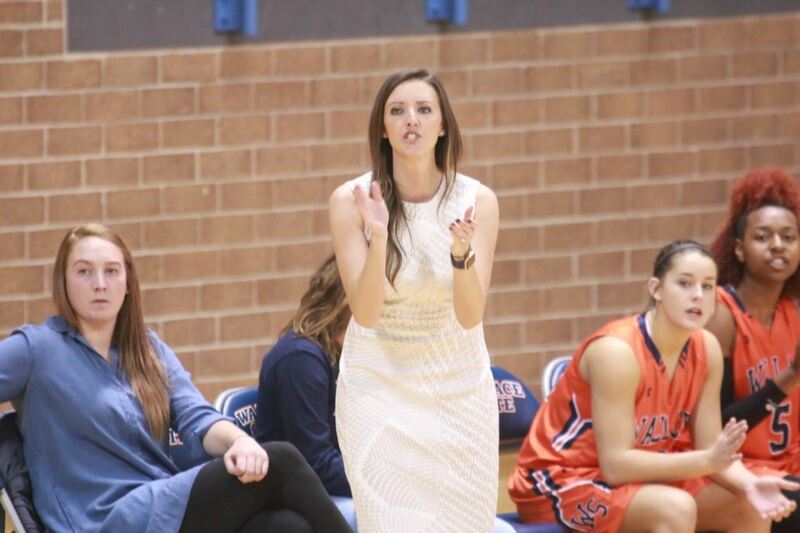 Jessica McBrayer, 29, has been named Wallace State’s women’s basketball coach this week. McBrayer led the Lady Lions to a 23-8 record and to the ACCC semifinals during the 2017-2018 season. HANCEVILLE – Wallace State Community College announced the appointment of Jessica McBrayer as head women’s basketball coach this week. McBrayer, 29, takes over the permanent post after spending the 2017-2018 season as the interim women’s coach. She guided Wallace State to a 23-8 record and to the Alabama Community College Conference (ACCC) semifinals. McBrayer is a Hartselle graduate and former Wallace State Lady Lion. McBrayer played at Wallace State under Hall of Fame coach Larry Slater during the 2007-2008 and 2008-2009 seasons after leading Hartselle High to the AHSAA Class 5A title game in 2007 during her senior year. Before accepting the interim role at Wallace State, McBrayer served as the program’s assistant coach for three seasons, including helping the Lady Lions make a NJCAA Division I national tournament appearance in 2014-2015. During the transition from McBrayer shifting from assistant to interim coach, Wallace State didn’t miss a beat last season. The Lady Lions compiled an 11-1 record at home and surpassed the 20-win plateau for the sixth time in seven seasons. As a group, Wallace State allowed an average of only 59.9 points per game and was among the leaders in most offensive categories. During her playing career, McBrayer, a Wallace State and Athens State alum, had the urge to one day be a basketball coach. That desire kicked into a higher gear when she initially became an assistant coach with the Lady Lions. McBrayer has been busy this offseason working to replace eight sophomores off last season’s team, seeking to find players who can fit the mold and style she learned as a player both in high school and college. Wallace State will return five players next season under McBrayer, including Jada Golden, Channing Gafford and DeMaurea Moore. Wallace State women’s basketball has won six ACCC/Region 22 championships and made five appearances at the NJCAA Division I national tournament with the last being in 2015. “We’re taking the steps to get back to that championship level, and it’s great to be a part of this winning tradition at Wallace State. You see coaches come and stay here for 10 to 20 years or more, and it’s because it’s a special place. If you ever coached, played or been a student here, you understand how special it is. Each program thrives on the overall success we have,” McBrayer said. McBrayer and her husband, Michael, live in Cullman. They have two daughters, Kinsey, 14, and Brantley, 7.